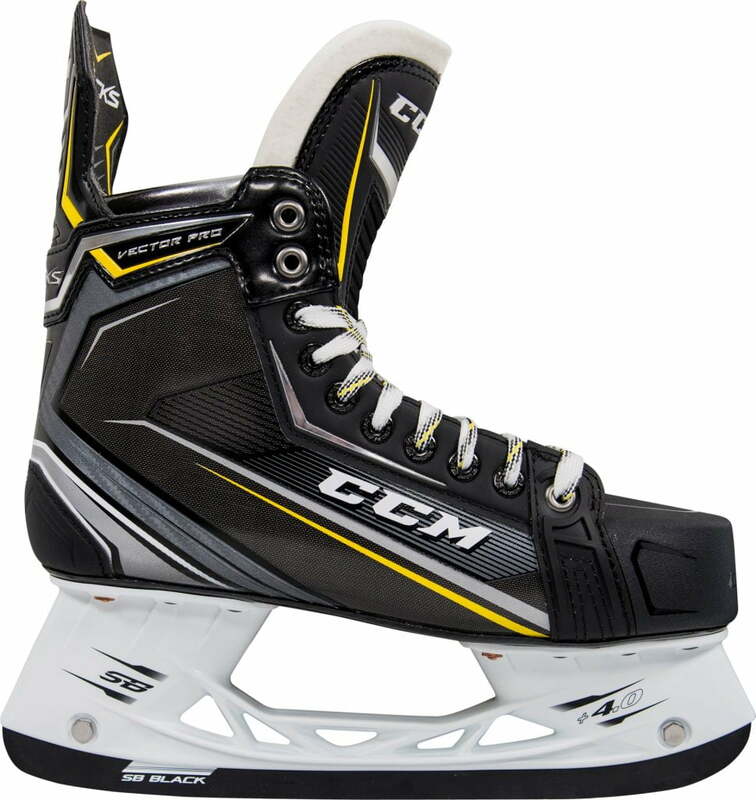 CCM Tacks Vector Pro Junior Hockey Skates (2018) | Sports Etc. By combining features of the Tacks 9080, 9090 and AS1 skates, the Tacks Vector Pro skates were created to offer better value. These skates add comfort and performance with a Pro Felt Tongue (taken from the high-end AS1 skate), brass eyelets (AS1) and SB Black Oxide Steel (AS1). Available only at Exclusive Source For Sports Dealers. Sports Etc Performance To Value Rating– 10 out of 10- A great choice for someone playing at a elite level, looking for a top-end skate at an affordable price.